Native American gardeners planted corn, beans and squash together in circular arrangements because they are mutually beneficial to each other. The corn provides a structure for beans to grow on, the beans increase nitrogen content in the soil and squash provide shady mulch to keep the soil cool and retain water.There are many combinations of vegetable plants that grow well together. The National Sustainable Agriculture Information Service provides the science that supports traditional garden wisdom. Tomatoes and other vegetables have substances in their roots and leaves that attract or repel the insects they need for their healthy growth. Tomatoes are the most popular vegetable to grow at home and there are several plants that help tomatoes grow well. Cucumbers, lettuce, onions, parsley and basil are mutually beneficial. Hornworms are a common tomato problem and borage repels them. Basil not only tastes good with tomato dishes, but it repels flies on growing tomatoes. Chives and garlic planted near tomatoes keeps the whiteflies and aphids away. Bee balm and mint are said to improve tomato flavor. Summer can be a difficult time to grow a garden of salad greens because they wilt easily in the heat. Squash leaves provide much-needed shade for lettuce and spinach. Squash is also mutually beneficial to radishes, mint, onions and pumpkins. Grow other salad greens, such as mizuna, sorrel and red deer tongue lettuce, near squash. 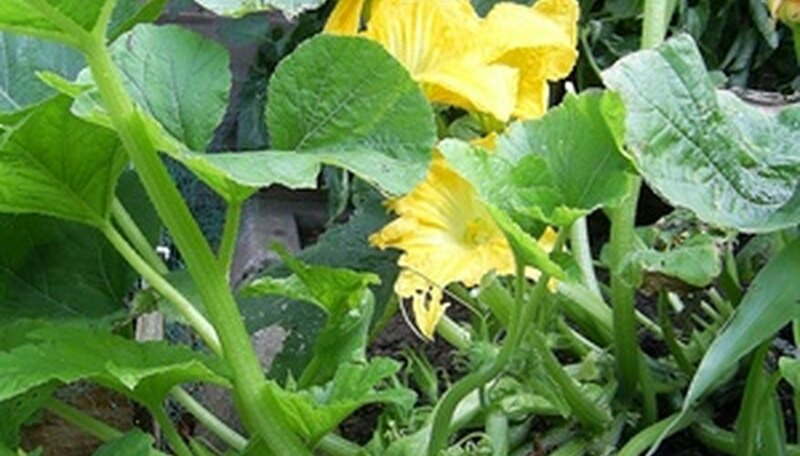 Squash varieties, such as golden scalloped edge and round French zucchini, have the large leaves that protect other plants from excessive heat. Marigold flowers are a good general insect repellent for vegetables. Celery, cucumber, corn and potatoes are also good companion plants for bush beans. There are many varieties of bush beans, including Roma and Tavera that grow well with strawberries. All bean types enrich the soil with nitrogen captured from the air around them. Nitrogen is essential for strong growth and beans improve the soil for all plants that grow after them as well. Harvest beans frequently because the plant will stop producing when beans are left to maturity. Borage also strengthens strawberries resistance to disease and insects. Turnips repel the harmful insects that destroy cabbage as well as pea plants.Peas fix nitrogen into the soil like beans do. Other good companion plants for turnips and peas are sweet peppers and cucumbers. Turnips can be planted successively throughout the summer until fall. Their taste is said to be sweeter after the first frost and they are resistant to cold throughout the winter. Peas and eggplant are also mutually beneficial when grown together. What Types of Soil Do Radishes Like?